Porcelain veneers provide Worcester patients with a solution to several dental concerns. They are versatile restorations that allow Dr. Levenson, of Levenson Smile, to change a patient's smile-or a single tooth dramatically. Veneers are perfect for covering natural imperfections of a tooth when other solutions are unavailable or fail to work. Deep bleaching of the teeth may not remove certain stains and discoloration, and dental bonding is only a short-term solution to a chipped or cracked tooth. Veneers play an important role in cosmetic and general dentistry by providing a healthy and beautiful way to improve a smile. Veneers are thin shells of porcelain made from dental impressions. They are fabricated to match the patient's existing teeth to blend in seamlessly. The veneers are custom-made for each patient and are bonded over the front of the tooth for an instant improvement. Depending on the type of veneer used, Dr. Levenson might need to remove a small portion of the tooth's enamel for precise placement and a natural appearance. Preparations are done, and molds are made of the dental arch. These molds are sent to an outside laboratory for the creation of the veneers, which are sent to the doctor approximately one week later for final placement. Patients leave Levenson Smile after their last appointment with a transformed appearance and more self-confidence than ever before! One or more teeth can be improved with veneers. When patients are ready to rejuvenate their entire smile, they can undergo a "smile makeover" and make drastic changes to their smiles. This cosmetic treatment is commonly used in smile makeovers to achieve a beautiful smile and help patients feel more confident in their appearance. 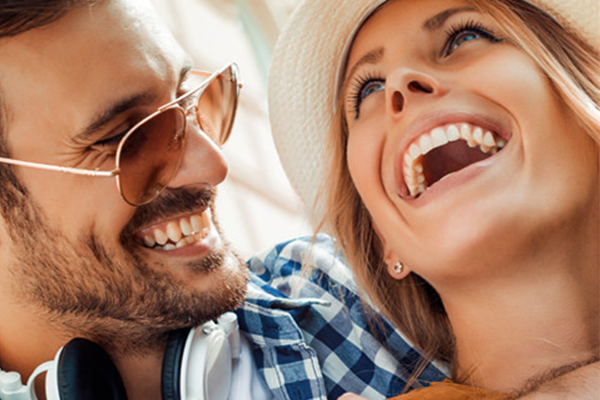 Dr. Levenson is in the business to provide unforgettable smiles and uses porcelain veneers and other cosmetic restorations to make dramatic or discreet improvements for long-term results. Imperfections can become a source of unhappiness for patients, and disguising them with the proper restoration can make a big difference in the self-esteem of adult patients.